The Midwest loves the holidays and if you are in Missouri, St. Louis has some very charming opportunities. The St. Louis area is considered St. Louis County, Saint Charles County, and to some degree, Jefferson County. Most of the activities I will share will be in one of these three areas. All of these are activities we have actually done ourselves and know that they are fabulous! 1. Garden Glow at Missouri Botanical Gardens This is one of our all-time favorite events. 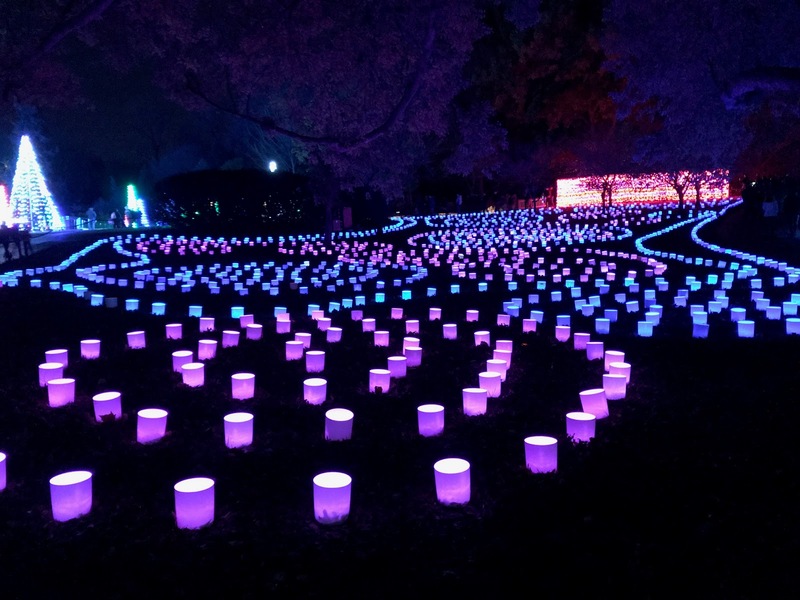 The Botanical Gardens is terrific any time but at Christmas, the staff goes all out to reimagine the Gardens in lights, hot chocolate stands, fire pits, and many more activities. Each year it looks different so it can be a highlight each year! Go to the link for ticket prices and times. 2. 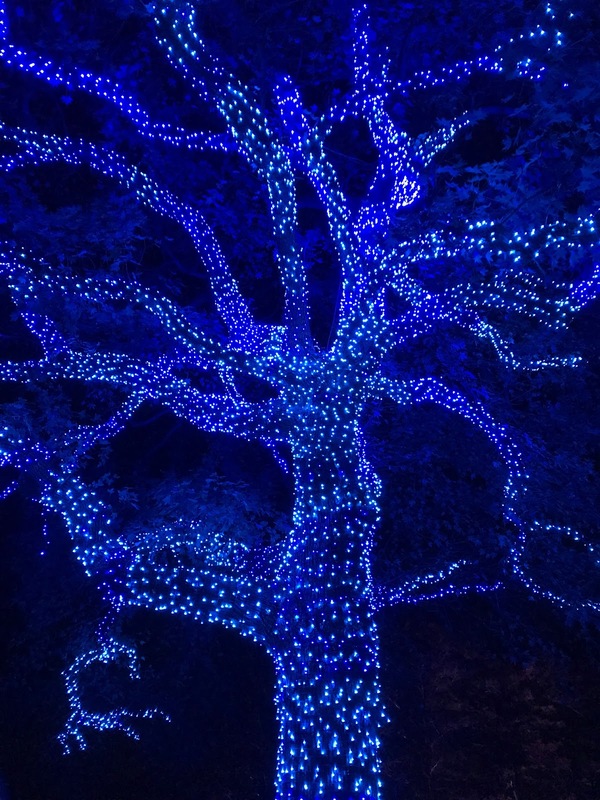 U. S. Bank Wild Nights Held at the Saint Louis Zoo, this is one of St. Louis' iconic events. 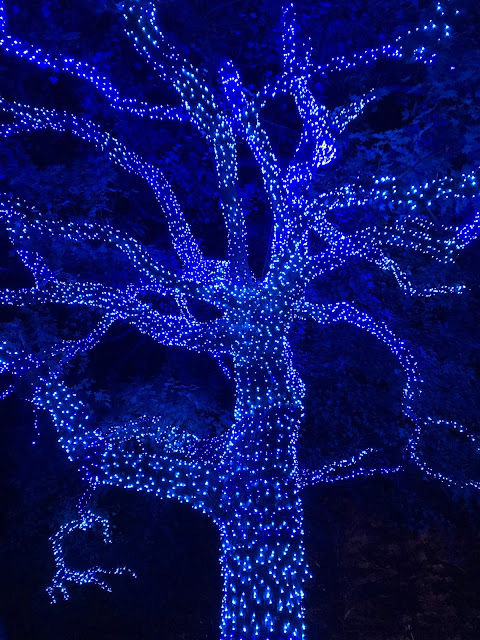 The Zoom is completely transformed into a delightful Christmas experience with thousands of lights, S'Mores firepits where you can buy a kit to make them, and a 4D theater experience of The Polar Express. Information about times and tickets can be found in the link. 3. 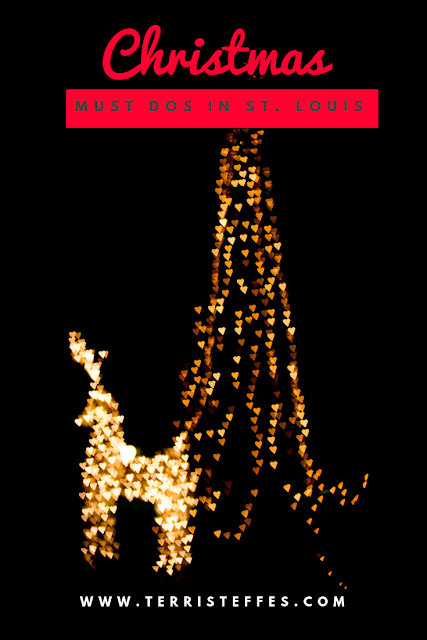 Candy Cane Lane My family LOVES driving through this beautiful Saint Louis neighborhood to view some incredible lights! 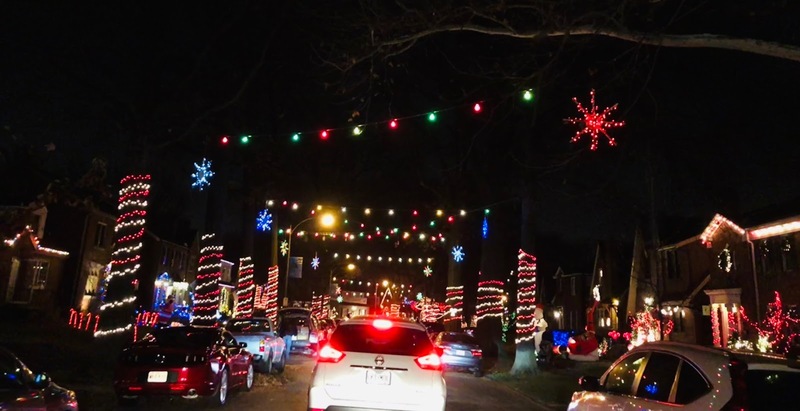 Start at Ted Drewes for some hot chocolate and goodies, then drive slowly through the winding streets, ooohing and ahhhhing at the charming homes decorated for the holidays! Not to be missed! 4. 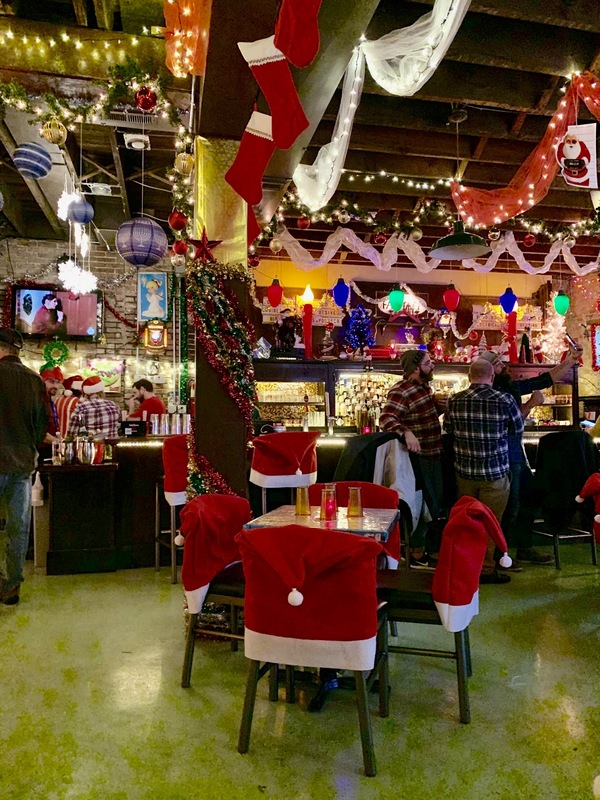 Miracle Bar St. Louis This is a national pop up bar that occurs in various cities through out the United States during the holiday season. There are darling speciality cocktails and snacks. Reservations are required and they do sell out quickly. As you can see from the decorations, it is quirky and fun! 5. Lafayette Square Holiday Homes Tour Lafayette Square is home to several Victorian homes called the Painted Ladies. These homes are historical, lovely, and their owners are people who share their love of them with the rest of us. The holiday home tour is magical, as Victorian people loved Christmas. The tickets sell quickly! There are carriage rides offered around the square. Different homes are featured each year. 6. Saint Charles Christmas Traditions This is in my town! Saint Charles was the first Capitol in Missouri and they love their history! It is a month-long celebration of Christmas, with 42 different Christmas characters strolling through Historic Saint Charles. There are parades, roasted chestnuts, shopping, carolers, all traveling through the brick-lined streets. There is something for everyone! 7. Concerts! St. Louis and Saint Charles both have great venues for seeing concerts and plays. 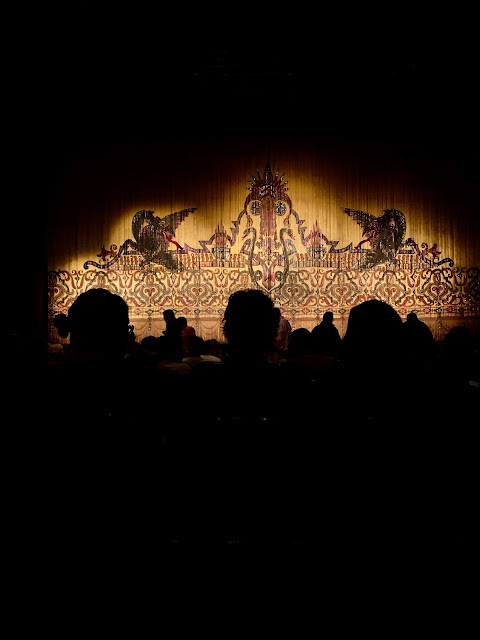 The Fabulous Fox Theater has The Christmas Carol and Rudolph the Red-Nosed Reindeer coming up and Straight No Chaser will be there on December 18. Follow the link for tickets. Scheidegger Center on the Lindenwood University campus has A Carpenter Tribute and Celtic Women: The Best of Christmas in December. The Peabody Opera House is hosting A Charlie Brown Christmas again this year. 8. Tenacious Eats Tenacious Eats is a party you don't want to miss! Chef Liz and her crew bend over backward to make this food meets movie the best thing you will do this season! Featuring the movie Elf, Chef Liz will create multiple courses that are inspired by parts of the movie. Follow the link to purchase tickets. The photo below shows a piece of catfish inspired by the Blues Brother's movie. St. Louis and the surrounding area has many wonderful offerings for the holiday season. These are my family's personal favorites. I hope you enjoy them as much as we do!